Cup Noodles is an all too familiar staple for college students who are on a serious budget. While sitting down with a Cup Noodles can hardly be considered 5-star dining, there is an institution in Japan celebrating the quick-fix meal with an entire Cup Noodles Museum. The museum in Yokohama recently commissioned artisans to recycle the famous disposable cups into washable dishware for everyday use! Cup Noodles were invented in 1958 by Momofuku Ando, as a cheap, instant, on-the-go ramen meal that could be enjoyed outdoors. Customers merely had to add hot water to the inexpensive styrofoam cups to enjoy a hot meal. Although cheap and easy, the styrofoam cups would get tossed into the garbage — styrofoam is not recyclable. 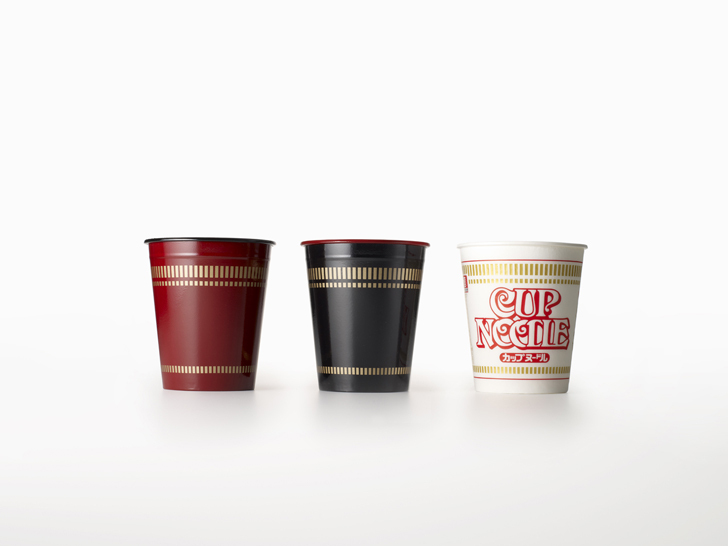 The Cup Noodle museum has found a way to both recycle the product’s packaging, while creating a memento that visitors would want to take home with them. A series of lacquerware artisans were commissioned to paint directly onto discarded Cup Noodles containers. The lacquer seals and protects the styrofoam, making it washable and reusable. 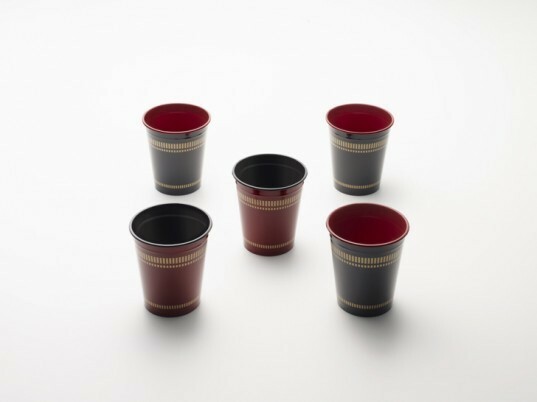 The lacquer cups come in red and black, with gold detailing that emulates the pattern design on the store bought Cup Noodles. The cups are an inventive way to reuse an otherwise unrecyclable package, and to create a memorable souvenir that can be used again and again!